So here we are again. 12/8/2013. However what defines glory in this instance, well, that really depnds on your point of view. In my humble opinion I can see little that makes August 12th a day to celebrate. I fail to see any sport in the grouse shoot that started this morning. The shooters use a shotgun, to my mind a crude and ugly weapon. Aim in the general direction of the target and the spreading pellets do the rest. Quite often they don't have to find the birds themselves. Driven to grouse 'butts' they wait while a beater flushes the bird then... boom. I fail to see any glory in this. To me it smacks of arrogance, laziness and a certain amount of cowardice. But it isn't just the death of the grouse that I object to. Grouse numbers are kept artificially and unsustainably high, in part, by the illeagal persecution of Hen Harriers, supposedly a protected species, and a natural predator of the aforementioned grouse. Being a predator has put the Harriers in direct competition with these shooters and the gamekeepers of the shooting estates. Nobody will admit to the illeagal killing of harriers or destroying their nests but the startling lack of breeding birds on the many acres of suitable habitat begs some serious and uncomfortable questions. Just why were there no successful breeding pairs in England this summer? Some people asked us to believe that a cold spring was the cause. While I'm sure it didn't help it is utterly ridiculous to suggest that this is solely responsible. Persecution happens, and it shouldn't. 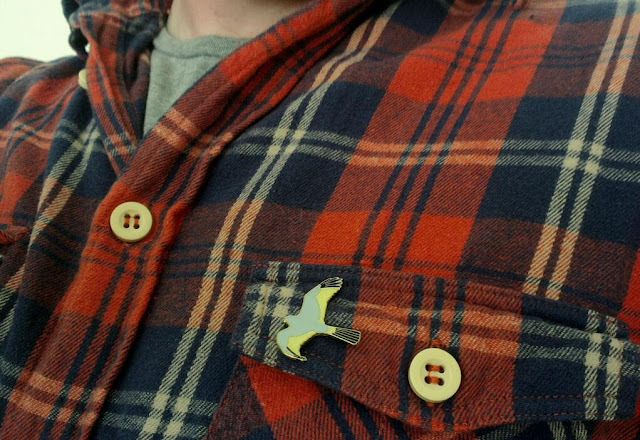 On this Inglorious 12th I wear my Hen Harrier badge with pride. These birds are glorious to watch. Either quartering the Dee marshes in winter or tumbling and dancing over the moors in a bewitching display flight. It will be more than a crime if these sights are confined to the annals of history, found only in dusty copies of old bird reports from years gone by, drawn from memory rather than photographed. The shooters, gamekeepers and estate managers constantly tell us that we don't understand the way the estate works, we don't "know" the grouse moors. Well I know enough (a degree in ecology and 14 years working in the countryside) to be confident (hopefully not arrogant) in my words. They say shutting down the shoots will ruin the rural economy, put many out of work. This is exactly what happened to coal mining communties in the 80's. Like those people they will have to change, do something else, innovate. Many will be able to, eco-tourism is the most obvious answer to lost shooting revenue and shooting doesn't have to stop completely. It can co-exist with Hen Harrier conservation, it has been shown at Langholm Moor. Results are promising and you can read much about the subject online. I feel that these birds cannot be lost from our countryside, they are too special. The Dee marshes in the winter are glorious. The sunsets achingly beautiful. And then there are the birds. The big flocks of waders on the muddy fringes of the marsh, myriad ducks in the creeks and pools and the birds of prey. The Short-eared Owls and Hen Harriers. 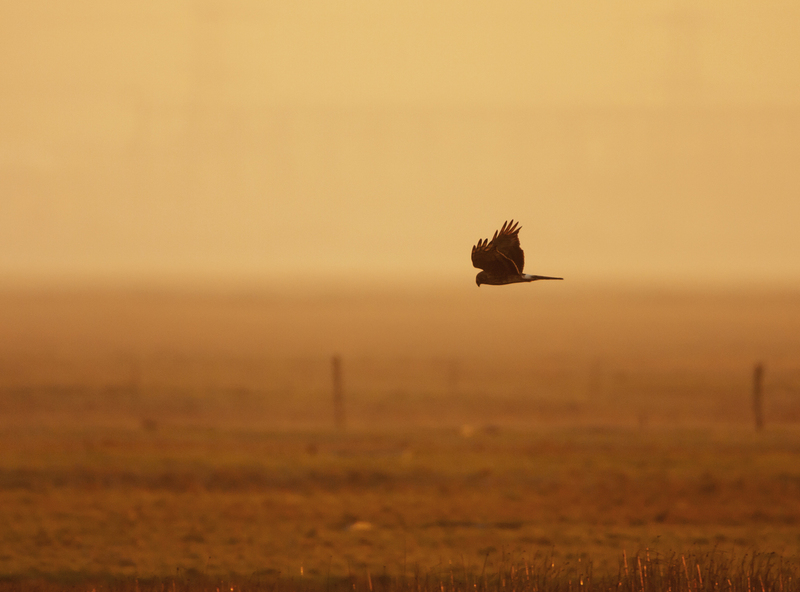 There is no better way to round off a winter's day on the muddy banks of the Dee than with an hour around sunset at Parkgate watching the owls and harriers hunting before they go to roost in the reeds. The sun was setting over the Welsh hills when it came from the right, past the golf course. At first I thought Buzzard but the flight wasn't quite right. It was too erratic, a bit wobbly. It looked like it had had a few pints at the Boathouse Pub. It was low over the reeds, backlit by the sun that was turning the beige marsh golden. In the dim light I could just make out the ringtail. It floated closer giving great vews I fired the shutter button. Pictures taken I pressed the binoculars to my eyes and strained to keep the bird in view. It drifted around some more then twisted to its right and zig zagged away to the dark heart of the marsh where I lost it in the gathering gloom. The Hen Harrier.